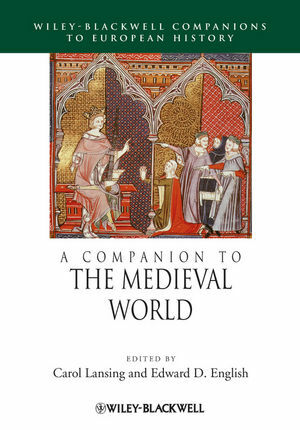 Drawing on the expertise of 26 distinguished scholars, this important volume covers the major issues in the study of medieval Europe, highlighting the significant impact the time period had on cultural forms and institutions central to European identity. Carol Lansing is Professor of History at the University of California, Santa Barbara. Her research focuses on medieval Italian politics, society, and culture. Previous publications include The Florentine Magnates: Lineage and Faction in a Medieval Commune (1991), Power and Purity: Cathar Heresy in Medieval Italy (1998) and Passion and Order: Restraint of Grief in the Medieval Italian Communes (2008). Edward D. English is Executive Director of Medieval Studies and Associate Professor of History at the University of California, Santa Barbara. He is finishing the first of two volumes on the society and politics of Siena in the fourteenth century. His other publications include Enterprise and Liability in Sienese Banking, 1230-1350 (1988) and The Encyclopedia of the Medieval World, 2 volumes (2005).